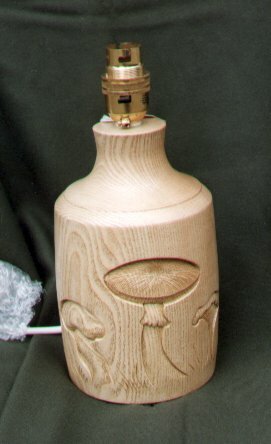 Brian's interest in wood developed when, in 1971, he obtained a wood turning lathe. 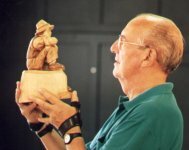 After some seven years wood turning he was introduced to wood carving by Joe Wilding and Brian Chalmers, who convinced him to go with them to Great Missenden for a wood carving weekend at the Old Abbey. This turned out to be the most enjoyable hobby with which he has been involved. 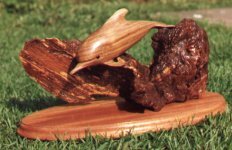 Within about seven years of carving, he became a Further Education Tutor at Oaklands Community School at Lordshill in Southampton. This has now developed into a Woodcarving Club, which has become self-funding. 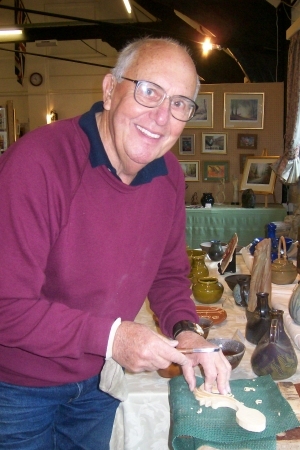 Brian is a member of Romsey Art Group, The Woodlanders Group of Artists, and also belongs to the Waterside Guild of Woodcarvers. His aim is to maintain an active role in woodcarving during retirement, using various types of woods, making the best use of grain and texture and colour to enhance the subject being carved, and having good presentation and finish.